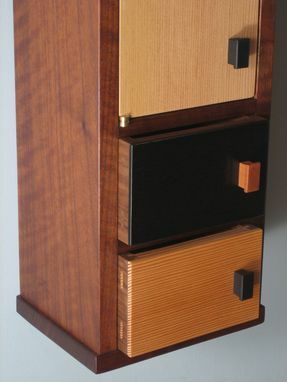 This diminutive wall cabinet is made from Curly Walnut, Douglas Fir, Ebony, Pearwood, and ebonized walnut. 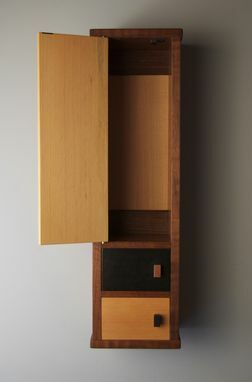 Originally sized to hold a whiskey bottle and glasses, the cabinet can be used as wall decoration or for storage of treasured items. Dimensions: Approximately 7" wide x 5 1/2" deep x 24" tall.